Kylvetty 5.2.2017 / 5 x 2 kpl jokaista = 100 kpl, itivät 11.2. 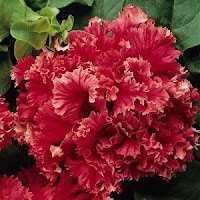 Bright and showy, ruffled and flaring 8 cm grandiflora flowers are frosted in white. Growth is bushy and branching to 35 cm tall, and 40 cm wide. Hurrahs are the among the earliest blooming multiflora series. They grow to 30 cm. tall, and the 5-7 cm flowers appear continuously through both heat and humidity. University trials consistently provide loud applause for the Hurrah series. Huge 7-9 cm wide, funnel-shaped flowers on uniform, compact 25-30 cm tall plants. 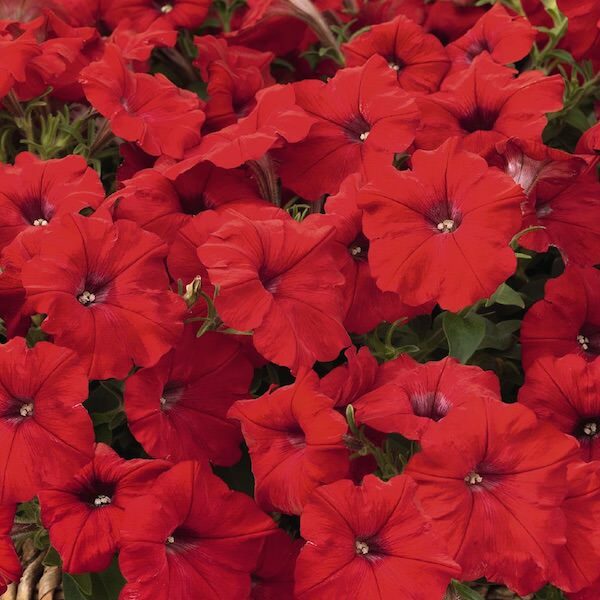 Flowering begins quickly and bloom is heavy throughout the season. Yellow in the center, and edged in creamy yellow. An All-America Selections winner. 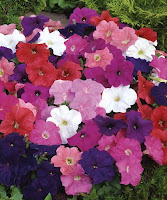 Storm series petunias are exceptional garden performers. 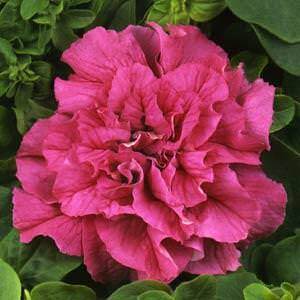 Large 10 cm flowers are extremely weather tolerant, flowering immediately following foul weather or overhead watering. The well branched, 30-35 cm tall, non-stretch plants remain compact all summer long. Bloom begins 7-10 days earlier than most petunias. 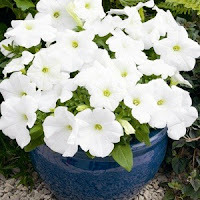 Picobellas are the best 'milliflora' petunias, they pick up where the trail blazing Fantasy series of petunias left off. 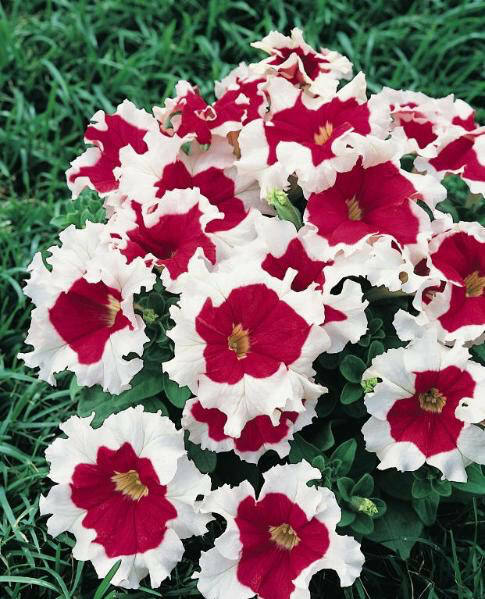 Picobella petunias develop into even more vigorous, well-branched, weather tolerant plants. The richly colored 2-5 cm flowers appear earlier than other petunias and cover the compact, 20-25 cm tall plants all summer long. 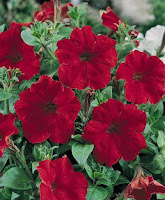 Picobella petunias offer superb performance for containers or borders. New genetic dwarf multiflora petunia that will not stretch even under adverse conditions. Heat Elite Mambo flowers earlier than any multiflora and its elegant flowers are larger (up to 8 cm across). 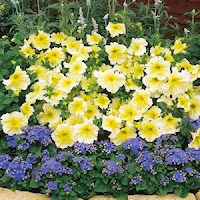 Extremely weather tolerant plants thrive and flower no matter what Mother Nature has to offer. 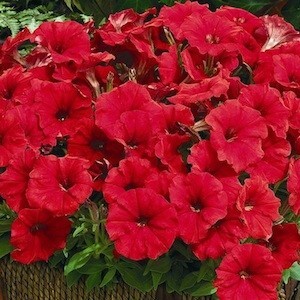 Growing 15-20 cm tall and wide, plants will flower continuously until frost and are perfect for edging borders or paths. Heat Elite Mambo petunias receive our vote as the premium petunias for container gardening. 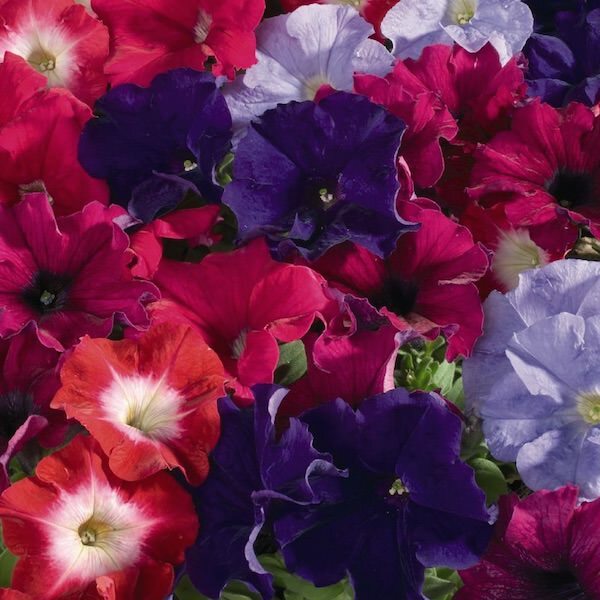 Variety includes: Heat Elite Mambo Blue, Rose, Purple, Pink, White, Salmon, Red, Deep Purple, Sweet Pink, and Pink Morn. 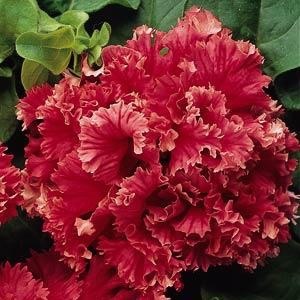 Early flowering, large 8 cm ruffled, rain resistant grandiflora flowers on 30 cm tall, 45 cm wide plants. Undulating deep blue, burgundy, and red rain resistant flowers. Includes both solids and bicolors. The SUCCESS! series flowers early: plants are in bloom 7 days earlier than other trailing petunias. SUCCESS! 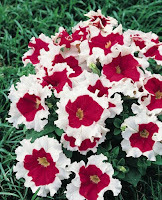 petunias are vigorous, free branching, and heavy blooming. 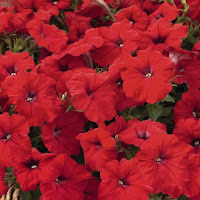 They bring a long season of color into your landscapes, beds, containers, and hanging baskets. Growth is at first upright, plants then spread to form attractive 25-30 cm tall, 75-90 cm wide mounds.